A DC motor utilizes direct current to produce mechanical power. There are numerous types of DC motors used in products from battery powered hand tools to very large motors for steel mills, elevators or hoist with numerous other applications in between, such as printing or textiles. DC motors are especially noted for their smooth running, even at very low speeds, as well as their high power density. They were the most popular type of industrial machine propulsion prior to the emergence of the modern day frequency inverter. Although supplanted by AC motors / servomotors as the most popular machine power source, many applications still benefit from the intrinsic qualities of DC motors. 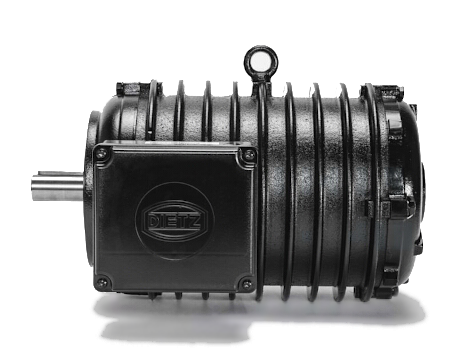 The industry remains robust with new generations of DC motors coming to the market regularly. The most common types of DC motors are Brushed, brushless (BLDC), uncommutated, Permanent Magnet (PMDC), wound stator and shunt wound.